Welcome to August, winter for us Sydneysiders. The slippers, hot water bottles and extra blankets have come out from hibernation in the cupboard and are keeping us toasty. Winter is the best time for hearty comfort food and Stella Blu has got you covered! Find yourself a cosy spot at one of our two locations at Dee Why Beach and Glenrose Village for a fantastically delicious meal that will have you warming from the inside. Here are just a few of our favourite dishes we recommend for a winter feast! 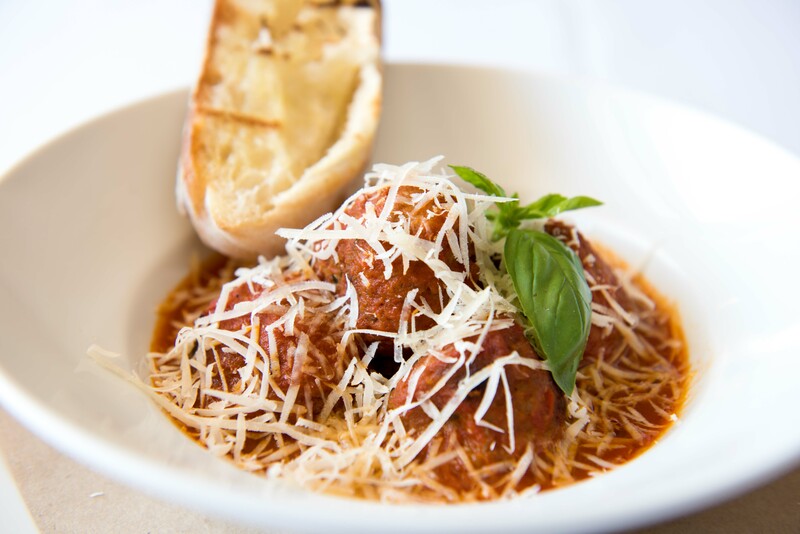 For starters, our Pork and Veal Meatballs with tomato sugo and shaved reggiano are the perfect starter, or enjoy something a bit more nibbly with our Warm Ciabatta Loaf served with virgin olive oil and balsamic. 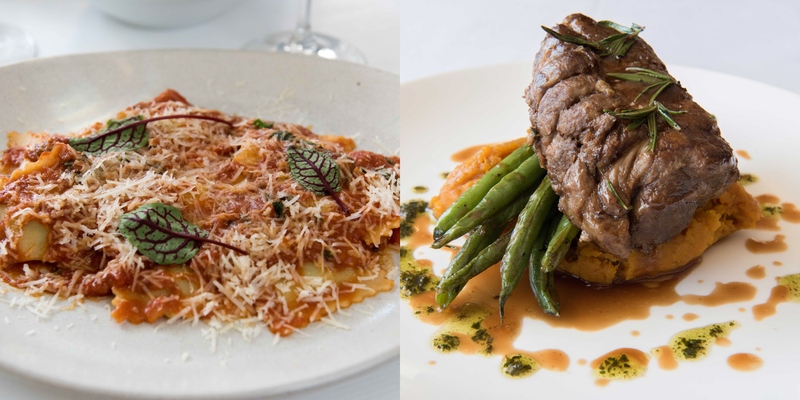 We have a wide selection of mains that are sure to heat you up, try our Pumpkin Ravioli with burnt butter and sage or the Potato Gnocchi with a beef cheek ragu, for a pasta option. For something a bit more hearty, the 6hr Slow Roasted Lamb Shoulder on potato mash with steamed broccolini or the Pan Roasted Sweet and Sour Chicken Maryland, finished with truffle paste on roasted potatoes and broccolini would be a perfect choice. Can’t forget about seafood! Try the Risotto of blue swimmer crab meat or the Western Australian Scampi grilled with lemon, garlic and olive oil. If you visit our Glenrose location you’ll have the choice of delicious pizzas from our pizzeria, made fresh and to perfection! 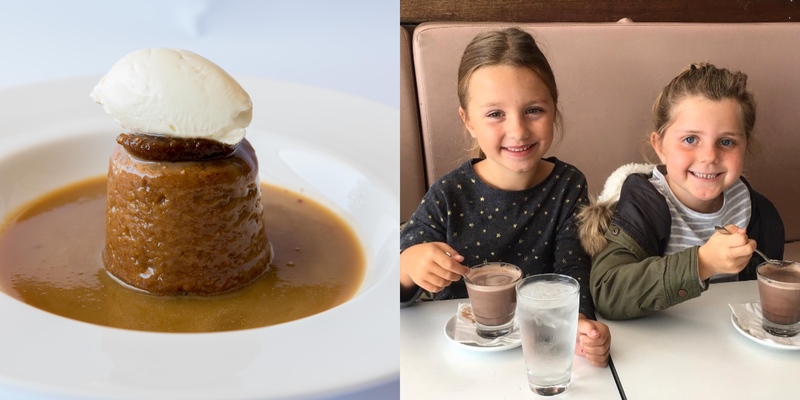 Then to finish off with dessert, you can’t go wrong with the Warm Sticky Fig and Almond Pudding with caramel sauce and double cream or the Warm Chocolate Pudding with French vanilla gelato. Or you can simply enjoy a coffee, tea or hot chocolate. To view the full menus click here.